Nervous System: I Have, Who Has? "I Have, Who Has?" games consistently prove to be fun, engaging (and sometimes competitive) ways to get my students reviewing and retaining information. 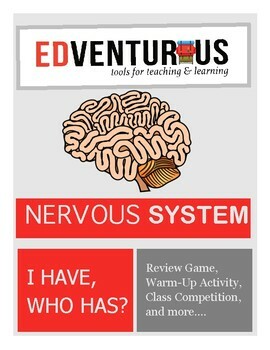 With 25 different cards of questions revolving around the nervous system, you can use this tool to get your learners excited about everything from neurons to brain functions.